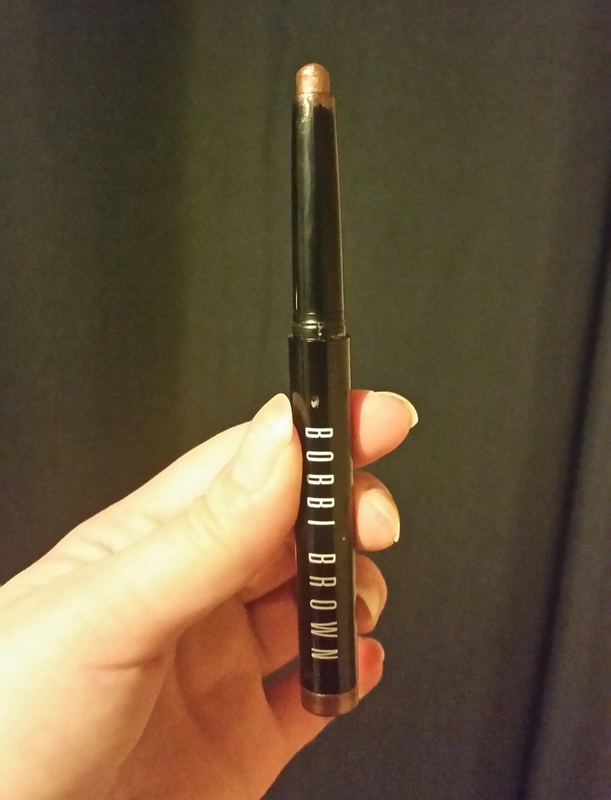 Until recently I’d never tried or owned any of Bobbi Brown’s eye make up. When I was last out shopping that all changed. Bobbi B’s shimmery, pretty eyeshadow sticks and glitters caught my eye and these products are just perfect for creating a New Years Eve look. Okay, so the name of the first product I bought is a bit of a mouthful, but this eyeshadow stick is a great buy. 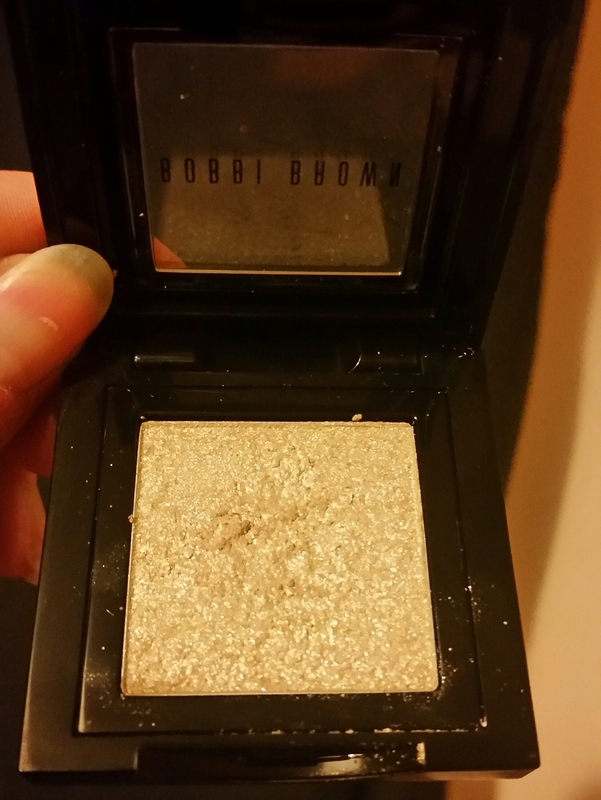 Long wearing and creamy, this applies smoothly onto your eyes with no flaking like a powder eye shadow. I chose the shade Golden Bronze which is a deep metallic bronze/gold hue. This looks pretty used on it’s own or with glitter products applied over it. If applied lightly this product creates a subtle colour with a hint of shimmer and when used more heavily these eyeshadow sticks appear more metallic. 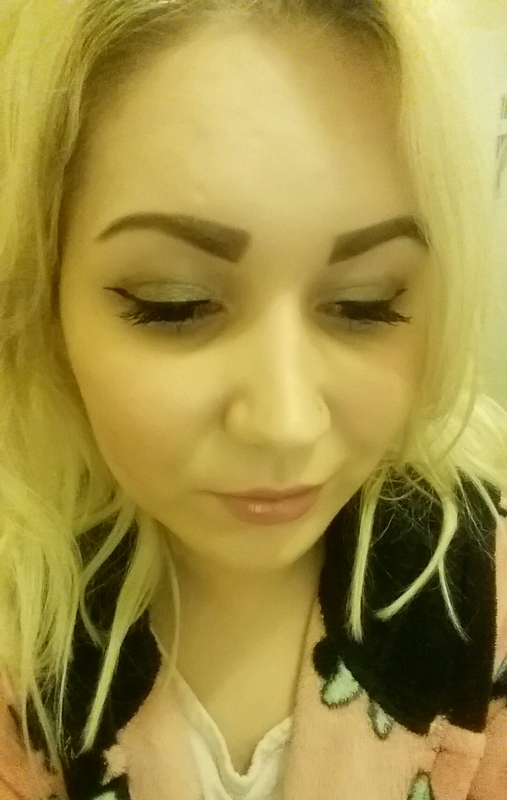 So after applying the Cream Shadow Stick I applied this Sparkle Eye Shadow on top. The shade I chose is Sunlight and is a light golden colour. Like the Eye Shadow Stick this can be worn alone or over other products, however I find that worn alone this product doesn’t have much staying power and is a very subtle hint of colour. Worn together with the Cream Shadow this not only stands out and lasts longer, but they create a golden silver shade that’s perfect for NYE. 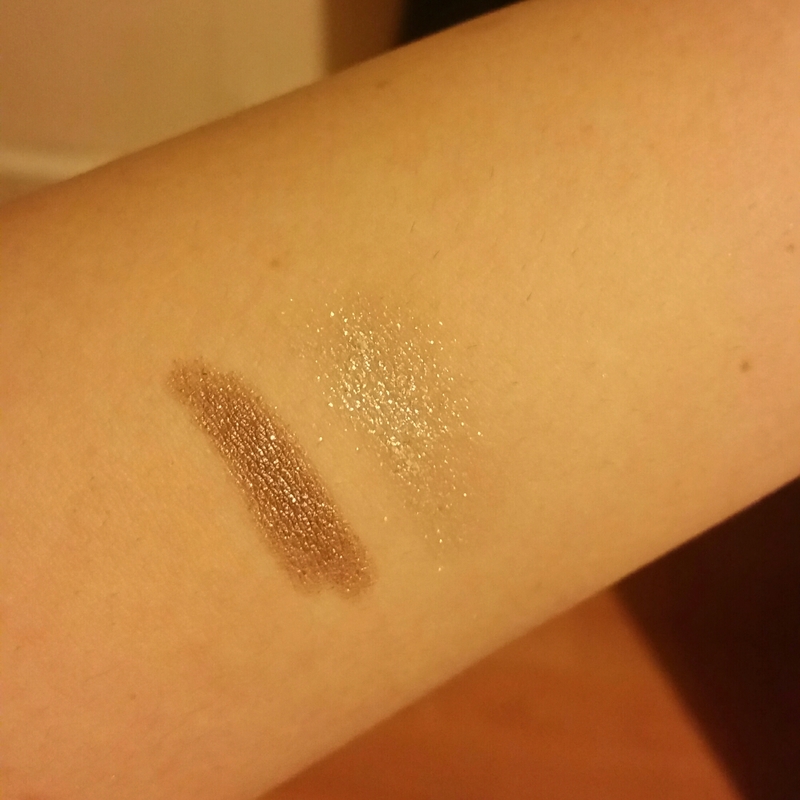 Below is swatches of both colours. 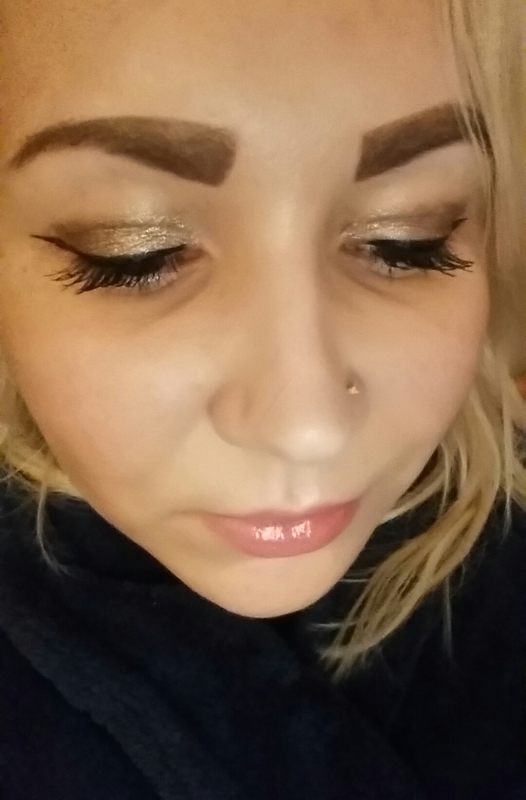 The top shade is the Sunlight Sparkle Eye Shadow and the bottom is the darker Golden Bronze Eye Shadow Stick. As I didn’t take my photo’s in natural lighting you can’t see the colour or glitter as clearly, but these two products combined make for a really pretty look, as seen up close below. And finally, below is two further away shots of my finished make up. 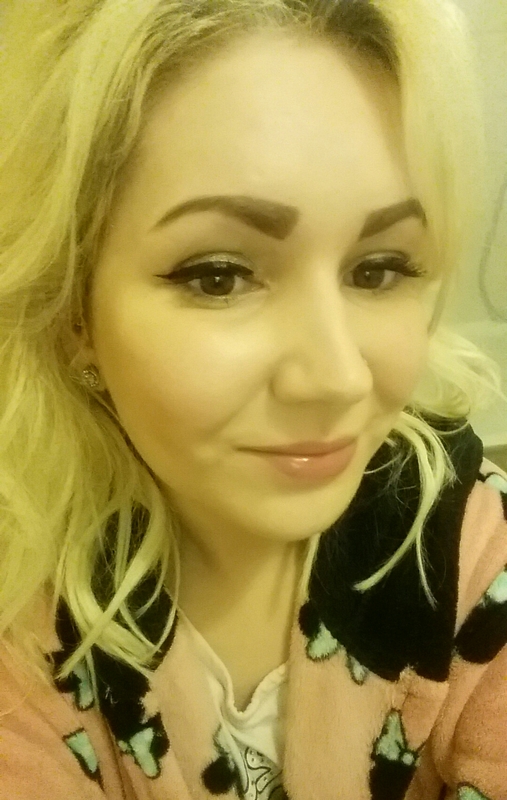 To finish my eyes off I used a NYX Felt Tip Eyeliner and Lancome Hypnose Drama Mascara. So that’s my NYE make up look sorted. 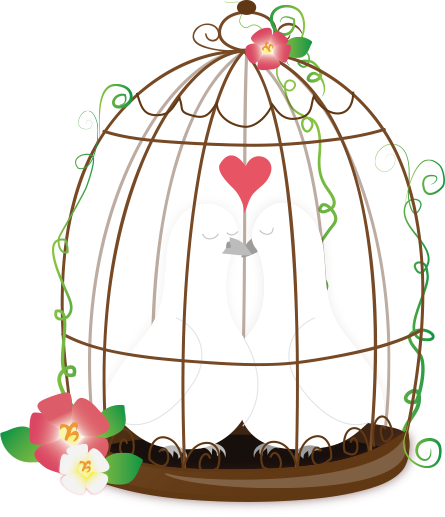 All that’s left is for me to wish you all a Happy New Year!